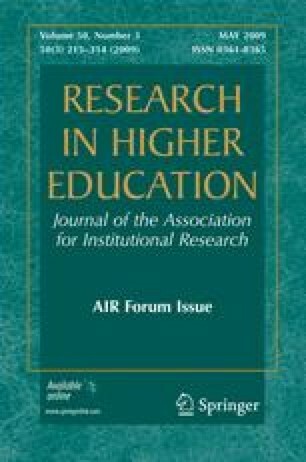 This study explores how graduate students enrolled in M.A./M.S. and Ph.D. geography programs perceive the social and academic climate of their departments. A second objective is to understand how these students self-assess their own professional abilities, values, and goals, and whether these self-assessments differ across demographic and institutional contexts. The survey instrument for this research is based on data collected from graduate student focus groups and on validated constructs of academic culture and climate from previous research. T-tests, ANOVA, and regression analyses identified significant differences among graduate students and their perceptions of departmental climate when compared on the basis of gender, citizenship, race/ethnicity, disciplinary subfield, and institutional type. Interview data provide additional context for analysis of the survey data. The primary areas in which we detected differences in graduate students’ experiences were 1) diversity issues, 2) disciplinary and institutional cultures, 3) career planning and development, 4) financial matters, and 5) quality of the learning environment. These differences result from the varying social and academic dynamics of graduate programs, illustrating the importance of the local environment in shaping student experiences. Rice University (2003). Academic climate survey technical report. Accessed July 22, 2007 at: http://professor.rice.edu/images/professor/AcademicClimate.pdf.